Hello World, my name is Lynne E Blackwood and I am a disabled writer with talent, or so say some (testimonials uploaded later). I suffer from degenerative spinal and joint disease with an auto-immune condition to boot. I live with and manage chronic pain – let’s say it’s like having all the flu symptoms to the power of ten without the fever, every day and every night and then there are even worse days. 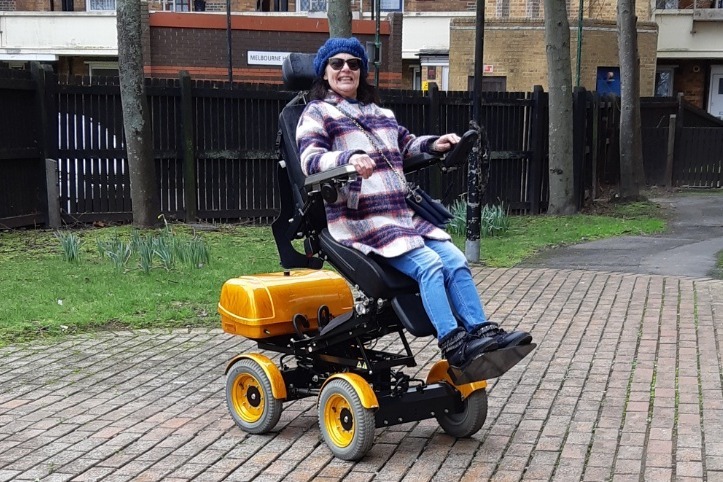 I’m here to ask for your support and possibly contributions to buy an amazing off-roader electric wheelchair that will last me many years and will cover the eventuality of paralysis below the waist – yes, it’s on the cards after four operations on the spine. If we go over our fundraising goals, then the surplus will be given as a bursary to another physically disabled writer for literature development and access to events etc. I have struggled, pushed through barriers and I know that others are out there in need of help and support, so this aspect is very important to offer those opportunities to someone. I have a project to go to Lapland (Finland) in winter with the new chair and write about the “journey” to raise awareness for other disabled creatives. The trip will be expensive because I will need to take a carer along with me which doubles the expense. Some may ask, “What about the Motability scheme; can’t she pay out of her Disability Benefits?” Well, no. I live alone, have a mortgage which exceeds the benefits, so am much worse off than if I rented, which is why I have also taken an enormous, life-changing decision to move from my (polluted, noisy) city that lacks disabled taxis, leaving me staring at four walls most of the time because I can’t get out. I will move to a smaller town with much better accessibility but it will be an expensive exercise which I will try and cover myself. There will be blogs (and probably videos) about the writing project in Lapland and the move, so please do sign up for alerts. So who am I? 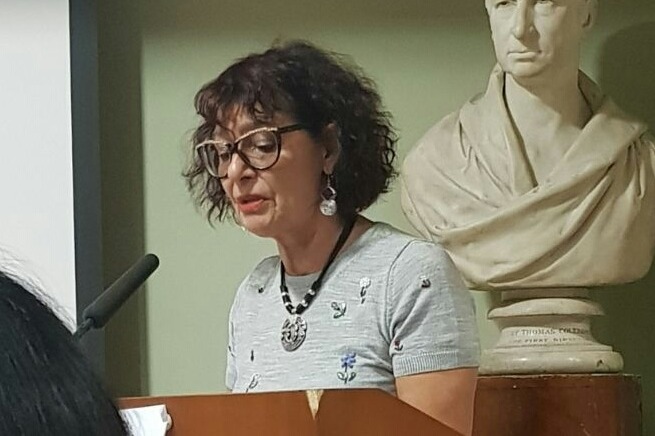 For five years I have been writing novels and short stories with many successes but always the bridesmaid and never the bride – long listed, shortlisted, highly commended with some short stories published in anthologies. So why am I here asking for your support? Because my condition has evidently worsened and I now rely on the NHS Powerchair to get around and try and go to events to meet professionals and my fellow scribes for feedback and help to improve my work. Like many disabled people, I am on very low-income which prevents me from actually getting to events and festivals to get my work noticed. The money raised for the Four X and the project will be life-changing and hopefully lead to being published in my own right. a) The present chair is a boneshaker and jolts my spine which in turn adds to worsening my condition; the Four X suspension is blissfully smooth so will slow the worsening of my condition! Simples! b) The present chair hasn’t even 15 miles in the battery; the Four X has up to 40 and no detours/extra mileage trying to find dropped kerbs! d) I rely on help when shopping, cling onto lecterns when reading my work at events; the Four X has a function to raise to eye level or grab things off top shelves and read at festivals! No more being ignored like a kid in a pushchair! So all in all, this new chair will give me back independence and freedom, and not only help me advance my writing career but potentially another disabled writer. There will be perks and the possibility of promoting businesses and professionals for those who contribute. More to come on this, so please support me by signing up for updates here and on my author website, following me on Twitter, Facebook and LinkedIn. Please share the updates! Thank you! Why raise money for a trip to Lapland, Finland, when all I need is the special wheelchair, some may query. Because the Four X is part of my “journey”. This is not leisure or pleasure, though I will evidently have moments of gratification; this is not a “vanity project” but integral to what I need to prove to other physically disabled people and writers and in my case, the literary industry, that we are just as capable as others; this is to show and document what perseverance, sacrifice and dedication can do - open doors, break down the barriers of perceptions so others can take hope, courage and belief in their own potential and dreams.